MOBILE operator DiGi.Com Bhd announced that its board of directors has appointed Lars-Ake Norling (pic) as the company’s new chief executive officer, effective Aug 1, 2014. Norling, aged 45, joins DiGi from the role of CEO in Telenor Sweden, and will replace current CEO Henrik Clausen who will take a new senior role in the Telenor Group, DiGi said in a statement. DiGi provides mobile voice, Internet, and digital services to 11 million customers in Malaysia. Listed on Bursa Malaysia, it is part of global telecommunications provider Telenor Group. “Lars-Ake [Norling] has successfully led Telenor Sweden in one of the world’s most highly advanced telecom markets,” said Sigve Brekke, chairman of DiGi and executive vice president of Telenor Asia. “I am confident that he has the market know-how to further drive DiGi’s growth and Internet For All ambitions, and the right leadership skills to develop our strong company culture and way of work. “At the same time, the board of directors wish to express our deepest thanks to Henrik [Clausen] for his excellent and dedicated contribution to the company. “Over the past four years, Henrik has led the company through a period of consistent and solid growth, and a holistic business transformation programme that firmly establishes DiGi’s presence in the Malaysian market. “He hands over a company with a clear vision, a well-established strategy, and a solid foundation for future growth,” Brekke added. During Norling’s tenure, Telenor Sweden has delivered robust financial results. The company has built an attractive internet proposition, with both mobile and fixed offerings, in a highly competitive marketplace, according to DiGi’s statement. Telenor Sweden is the second largest operator in the country with 2.5 million mobile subscriptions, 700,000 fixed broadband subscriptions, and close to 1,800 full-time employees. A seasoned telecom executive, Norling joined the broadband provider Bredbandsbolaget in 1999, where he held a number of senior positions. In 2006, he was appointed head of Telenor Sweden’s fixed network, and a year later assumed the position of chief technology officer. Norling has served as CEO of Telenor Sweden since April 2009. “Heading DiGi in Malaysia is an honour and an offer I couldn’t refuse,” said Norling. 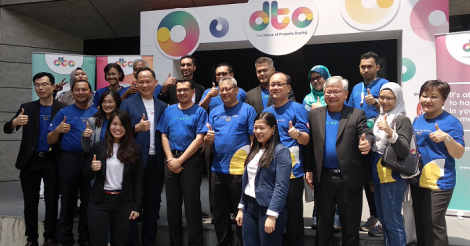 “DiGi has a solid market presence in Malaysia, and has been one of the most consistently successful business units in Telenor Group, in one of our most advanced markets in Asia. “I am truly excited and looking forward to working with my new colleagues in DiGi to drive the next phase of the company’s growth,” he added.